The Dream 7.5L Sleeping Mat from Vaude is a comfortable, self-inflating sleeping pad, you've laid the right groundwork for a successful endeavor. A thick layer of 7.5 cm comfortable outer material that will soften any ground you lie on. 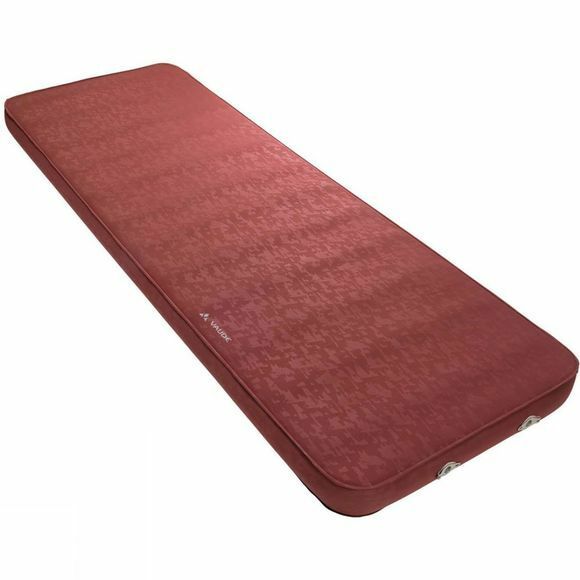 The 3D pad construction (196 x 63 cm) makes use of all the space available and is ideal to combine with other sleeping pads. The core of the pad adapts to the contours of your body for best sleeping comfort. A newly developed valve makes it also very easy and quick to inflate (and deflate). The VAUDE Green Shape label stands for environmentally friendly, functional products made from sustainable materials.